UNAUDITED CCHOA RESULTS: The unaudited month ending results for the CCHOA for February 2019 and the 8th month of the 2018/2019 year are enclosed for your review. The combined Reserve balance is $7,509,355.32. The Reserves for last month, January 2019 were $7,390,751.22. The February Reserve balance is slightly more than the balance for January 2019. This is to be expected since additional Reserves are being added from special assessment payments from Montego and Antigua. The Reserve balance for February 2018 was $5,007,500.72. The Reserve balance for February 2017 was $8,917,858.96. There remain three major maintenance projects that the CCHOA is undertaking this year and next. Mardi Gras is in the final stages of their seawall stabilization project which has a Board approved project cost of $443,000. Kingston Village is continuing to establish the extent of their dock and home maintenance projects and Antigua is in the middle of their sewer line Village planning project. Neither costs nor the extent of the maintenance projects have been established for the latter two projects. The CCHOA is currently in the middle of the budgeting process with intended Reserves to be no less than 50% by the year 2023/2024 for all 10 Villages. It remains the CCHOA Board’s commitment that Reserves be adequate to ensure that DEFERRED maintenance is not a consideration unless there are no alternatives. INDIVIDUAL VILLAGE RESULTS: Individual Village results remain similar with the last few months, however this past month only 6 Villages had higher expenses than that which was budgeted. Last month there were 8. Water, legal, outside contractors, gas/electric, and pest control remain the major areas where funds needed were under budgeted. This would be expected during rainy periods with water intrusion problems. In all cases the funds expended were absolutely necessary with the CCHOA Board continuing to monitor expenses to make sure that the CCHOA gets the very best value for the funds expended. A more detailed accounting can be requested from the CCHOA office. The individual Board members are extremely active, with the Controller and the Maintenance Director in reviewing each proposed expenditure, not only for this year but next year as well. It is presumed that the CCHOA community will have a new General Manager beginning April 1, 2019 who will most certainly take an active, directional interest in budgeting. INVESTMENT PLANNING: The Finance committee and the CCHOA Board as well as staff continue to monitor investments to insure that the CCHOA investments are as safe as currently possible. The first criteria is safety with yield second. The current investment rationale centers on a laddered approach to investing with a current one-year goal. This past week, the FOMC (Federal Open Market Committee) did NOT raise interest rates and added the comment that interest rates would more than likely not be increased for the rest of this year. 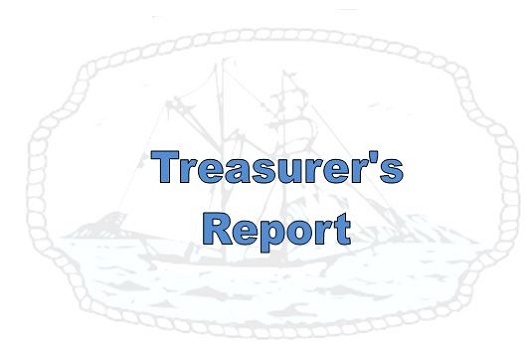 From past Treasurer comments in the Treasurer reports it is presumed that the Finance committee will recommend to the CCHOA Board that the laddered approach be increased from 1-4 years with short term investments readily available to meet short term Reserve needs. The CCHOA investments currently utilize CDs, T-Bills, Fidelity Accounts and various money market accounts. Current investments are being invested with interest rates between 2.25% and 2.50%.